In fiscal years 2011 and 2012, the U.S. Postal Service leased 35 trailers for a distribution center in New Jersey. Nothing unordinary there -- USPS spends about $39 million annually to rent 10,000 trailers, its trucks’ cargo bodies. There was one problem with these particular trailers, however: the Postal Service had no idea where they were, according to the agency’s inspector general, or if it ever even received them from the leasing company. The Postal Service identified the problem during a 2011 initiative to reduce its trailer fleet by 35 percent. While conducting a leased trailer inventory, the New Jersey plant realized it had a problem. 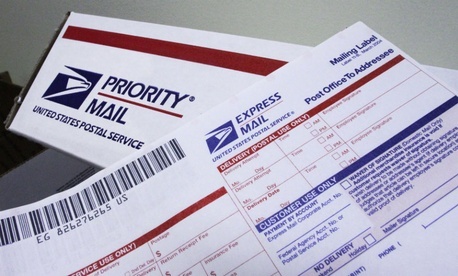 The Postal Service continued to pay the lease for two years, however, at a cost of nearly $250,000. During that period, USPS attempted to locate the trailers but “the search did not reveal any records of trailer movements.” At that point, the Postal Service opted to purchase the trailers, and paid their supplier more than $37,000 for the titles. The loss is especially concerning for an agency that is hemorrhaging billions of dollars annually. The missing trailers were part of a larger inventory problem at the Postal Service. The inspector general has raised the issues of the lack of USPS control over its leased trailer fleet 19 times since 2001. “Currently, the Postal Service does not have a policy or an inventory system for its leased trailers,” the IG said. The IG issued five recommendations to the Postal Service to improve its trailer leasing policy, namely to create one. The auditors said USPS should maintain a central database of its inventory, number each leased trailer and equip the trailers with satellite-tracking devices. USPS management agreed with all the recommendations and promised to implement the changes by March 2015.